Our full-service restaurant features appetizers, salads, sandwiches, burgers, specialty pizzas and desserts made from scratch using the highest quality ingredients we can find. 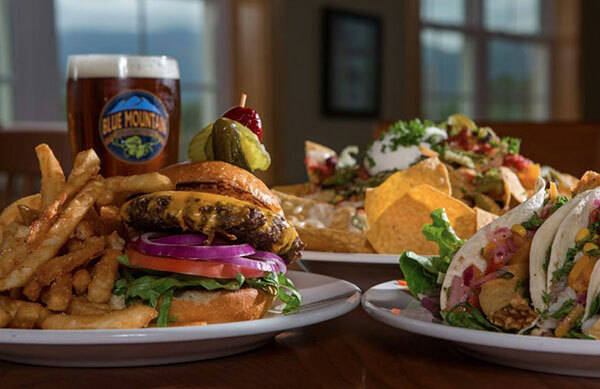 8-10 Blue Mountain draft beers, local wine, cider & kombucha are available daily. Restaurant hours are 11am-10pm Monday-Saturday and 11am-9pm on Sunday.